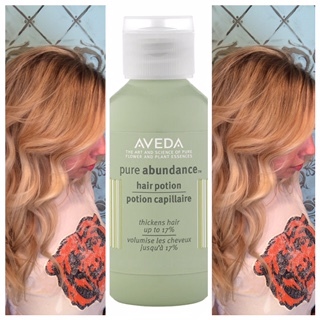 Hair potion is a bit of magic in a bottle, literally transforming from a powder to a liquid in the palm of your hand (no magician 101 guide needed). This product instantly creates a matte texture with just the right amount of grit for that perfect second day look. Apply to roots on wet or dry hair and watch the magic unfold. Oh and when your hair hits that midday flat, just run your fingers through to reactivate the natural thickening agents and reemphasize that oomph. No need to come up with your own wicked thickening brew, Avedas already stirred the pot. Thicker, Fuller Hair... Oh, My!